Are you ready to represent the best of the best from the bayou this Halloween? Then prepare to introduce yourself as “Gator, Al Gator” at the next costume party you attend. 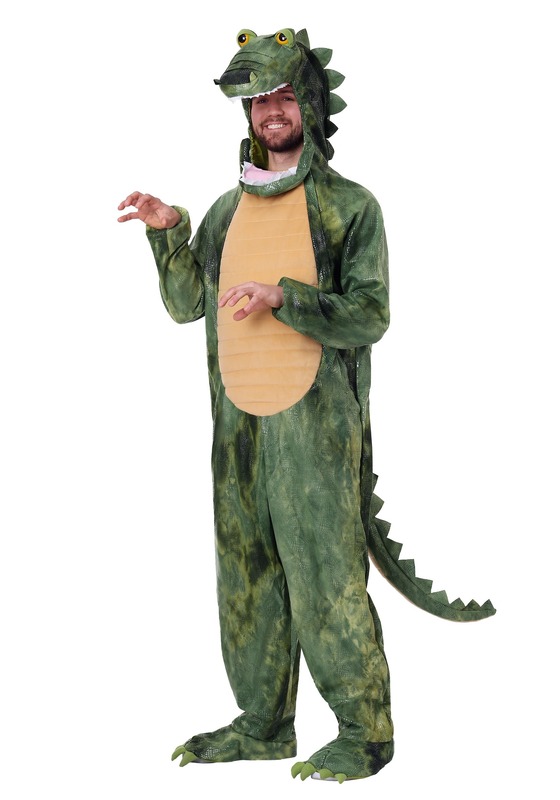 With this awesome Adult Alligator Costume, you’ll be sure to get a bunch of laughs and maybe even a good scare or two. 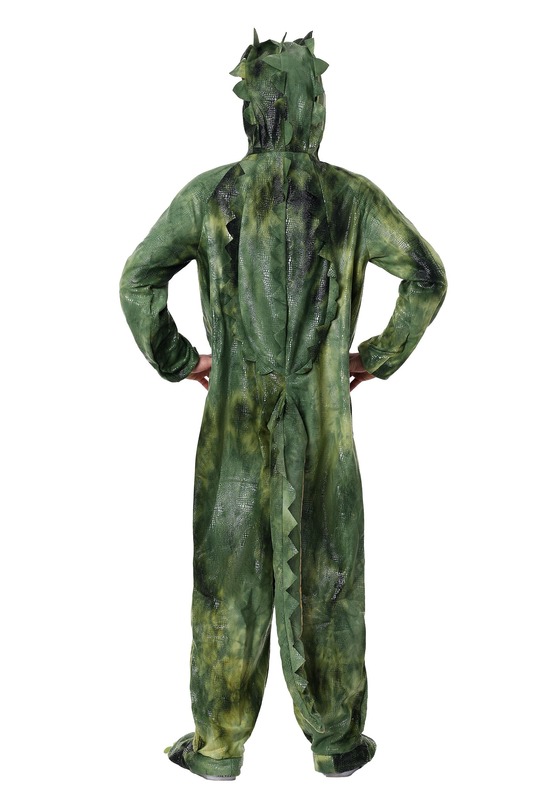 Once you toss on this hooded jumpsuit you will instantly transform into the king of the swamp. You’ll feel strong enough to take down a full-grown cow, that is if one should dare come close enough to whatever eerie shore you normally hang out around. Don’t be surprised if you suddenly feel a massive increase in your appetite, gators are known to eat nearly a quarter of their weight in a single meal! With a metabolism like that, you could go through a twenty-course meal and not gain a single pound. You do not know how jealous we are right now. Not only do gators have amazing metabolic qualities but they are also known for being surprisingly skilled climbers and as well as rather innovative reptilians. Yes, they truly are wondrous creatures that somehow managed to survive through the times of the dinosaurs. Although if anyone should happen to mistake you for some sort of T-Rex make sure to correct them with a swift smack from your tail! So if you’re ready to get a good grip on the perfect Halloween costume, nothing has a better grip than good ole Al Gator. Grab this Adult Alligator Costume and become a comical version of the bayou’s most terrifying predator!